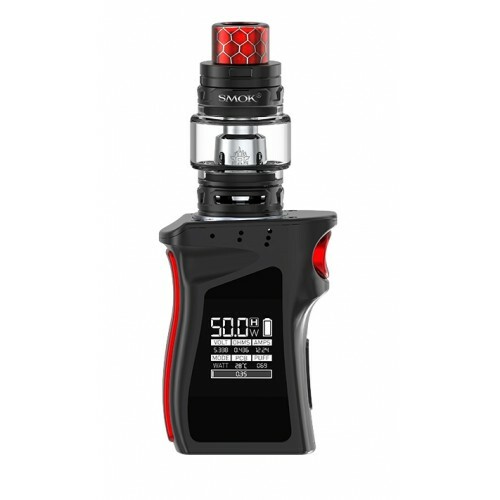 Mag Baby by SMOK is a new member of Mag series with a handle shape body, which offers a comfortable hand feel when holding and carrying. Powered by a built-in 1600mAh battery, the Mag Baby can reach up to 50W power with advanced VW/TC modes. 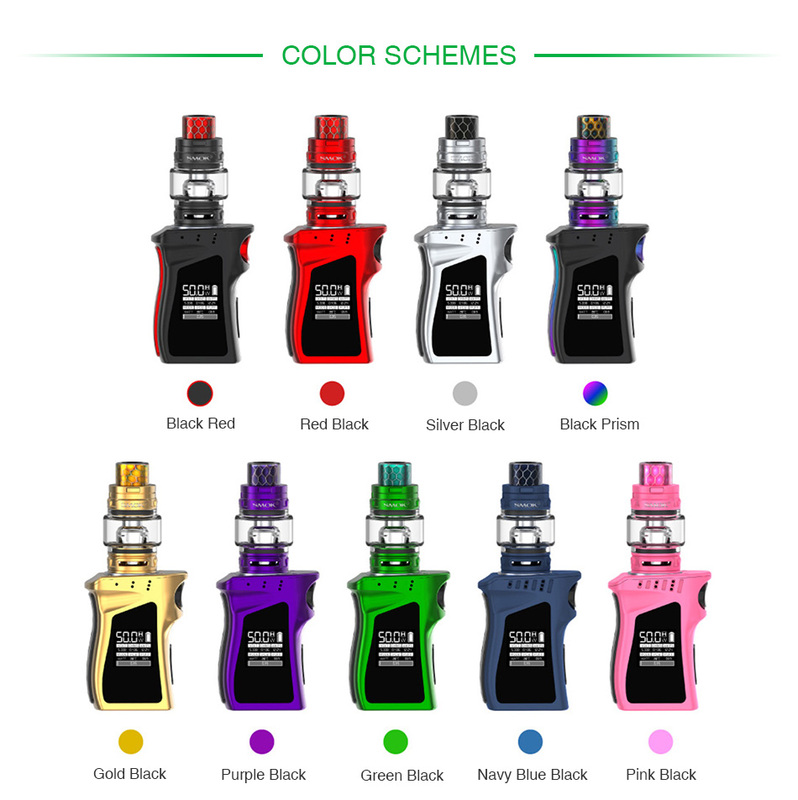 With its 0.96-inch OLED screen, multiple protections and upgradable firmware, you can always have an excellent vaping with it. 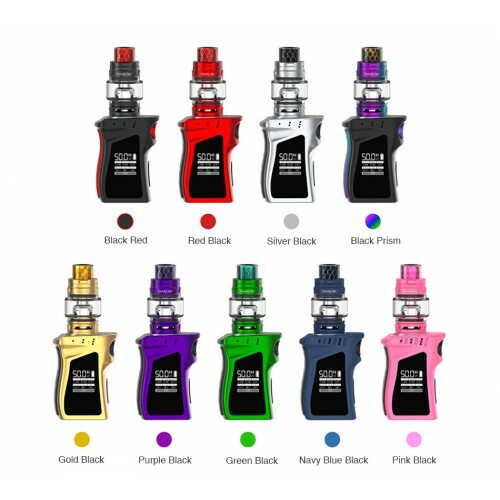 The TFV12 Baby Prince tank adopts cobra drip tip, patented locking design, top rotary refill and adjustable bottom airflow. 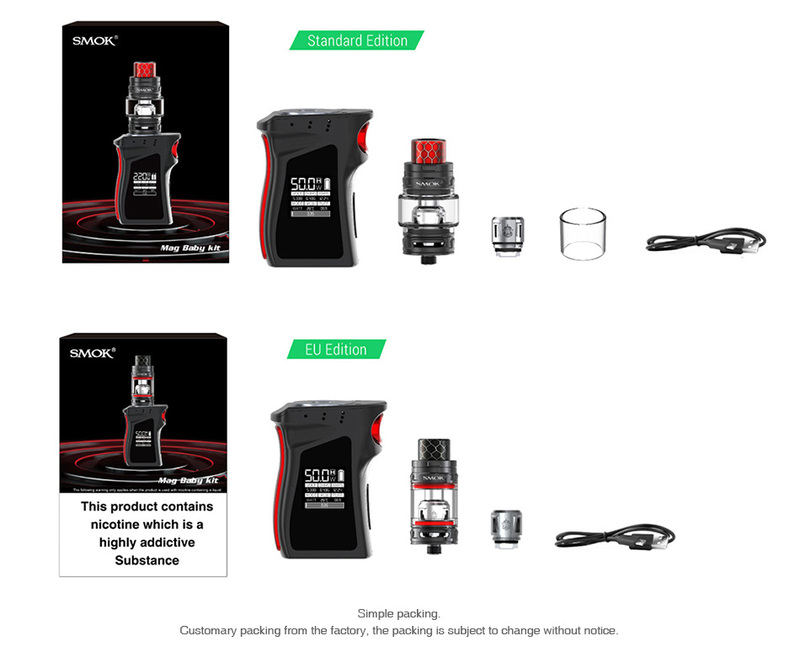 It's designed for unparalleled flavor and clouds.